Join us on an incredible hiking journey through the National Parks and Monuments of Utah and Southwestern Colorado. 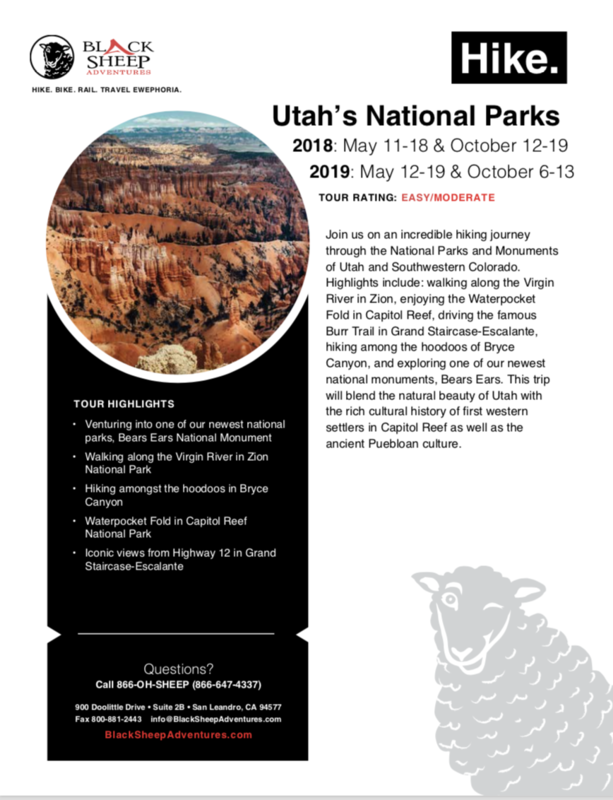 Highlights include: walking along the Virgin River in Zion, enjoying the Waterpocket Fold in Capitol Reef, driving the famous Burr Trail in Grand Staircase-Escalante, hiking among the hoodoos of Bryce Canyon, and exploring one of our newest national monuments, Bears Ears. 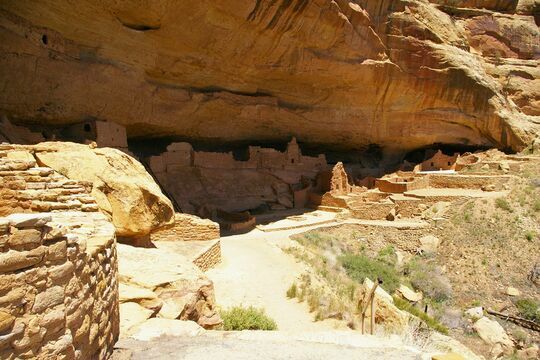 This trip will blend the natural beauty of Utah with the rich cultural history of first western settlers in Capitol Reef as well as the ancient Puebloan culture. 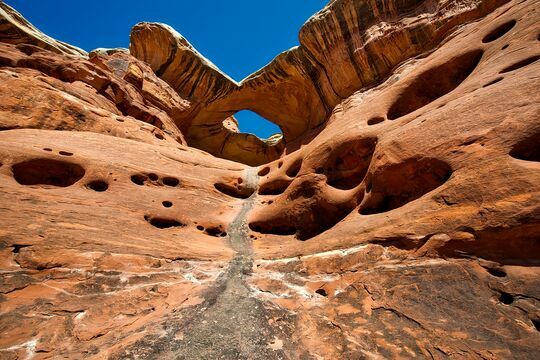 Our exploration of Capitol Reef begins with a morning hike to the Grand Wash followed by a stroll to Hickman’s Bridge. After lunch we check out some of the human history of the park in the Capitol Gorge where we can view petroglyphs and a pioneer register etched into the stone on a 3-mile hike in a slot canyon. This morning we take a short hike in Cohab Canyon and an opportunity to get a closer look at the historic Gifford House. On our way south on highway 12 we will drive part of the famed Burr Trail through a narrow canyon where you will be surrounded by contours of sandstone while riding through a narrow canyon with walls rising hundreds of feet above you. This evening relax at the charming Boulder Mountain Lodge. Visit the Bryce Canyon Visitor Center and hike the Rim Trail. Experience the canyon’s intricate geological display from the rim at Bryce Point and Paria View, and below the rim on the Navajo and Queens Garden Trails on a 3-mile loop. This afternoon savor the ambiance the Lodge, designed in 1924 by master architect Gilbert Stanley Underwood. The lodge and its cabins were recognized in 1987 as a National Historic Landmark. At the doorstep of Capitol Reef national park this recently remodeled hotel is a great place to relax after a full day of adventure in the area. Take a dip in the onsite pool and hot tub or catch up on e-mails and posting photos from your Utah adventure on the complimentary wi-fi. Located in the middle of Utah’s scenic red rock canyon country and surrounded by mountain forests this lodge is an oasis in the middle of Grand Staircase-Escalante. Each room features a deck or patio with fantastic views of the gorgeous surroundings. Make sure to get out and explore some of the 11-acre bird sanctuary that surrounds the lodge. This iconic national park lodge was built in 1925 by famed architect Gilbert Stanley Underwood. Your room is just a few steps away from the rim of Bryce Canyon providing ample opportunities to easily explore the park. A top-rated Zion National Park choice is nestled within the majestic cliffs of Zion besides the Virgin River in Springdale, Utah. The Inn features sophisticated rooms feature Southwestern-influenced decor, floors made fromreclaimed railroad trestles, and handcrafted furnishings, plus terraces or balconies. Wildlife sightings including black bears, javelinas, roadrunners and collared lizards.